The products of range 2 comply with the modular dimensional system established by the en 631 regulation, which requires containers to be 20, 40, 65, 100, 150 e 200 mm deep. 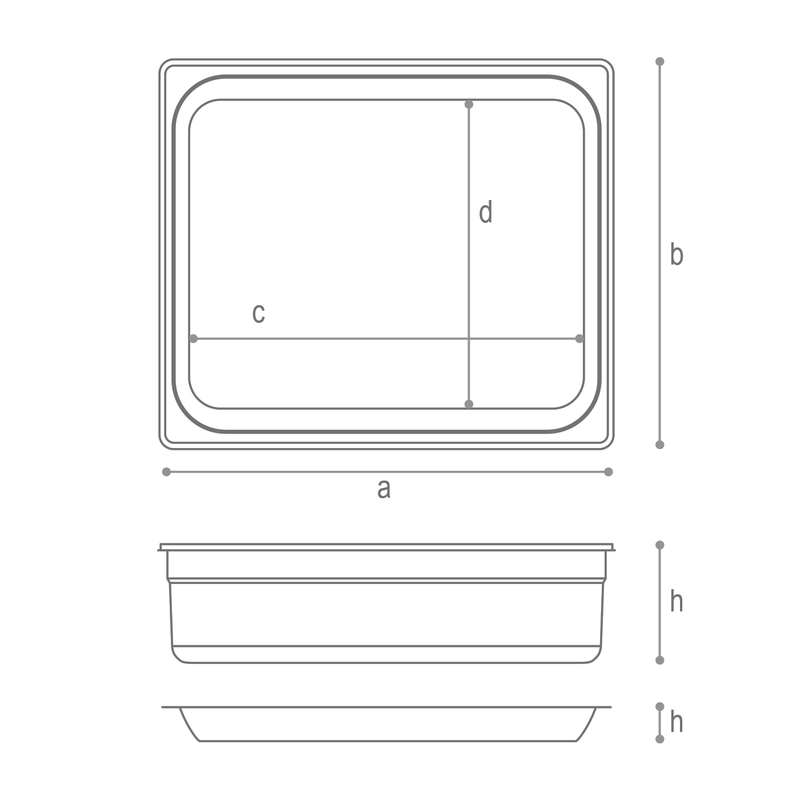 The basic container is equivalent to a gastronorm unit (gn 1/1), which has external dimensions of 530 x 325 mm. But is also available in larger and smaller sizes of 2/3, 1/2, 2/4, 1/3, 1/4, 2/8, 1/6, 1/9 respectively. h a b c d l.